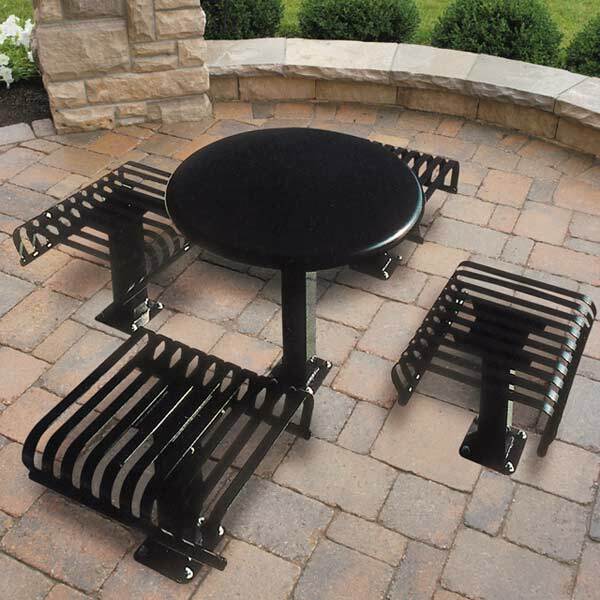 The Hamilton outdoor tables with fixed seats are a functional, yet stylish outdoor seating solution. Tables are 30" high and have 36" round solid metal tops with a powder coat finish in your choice of colors. 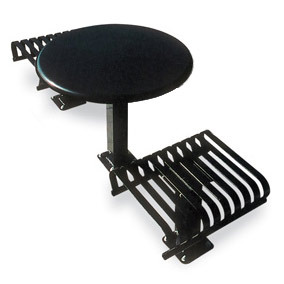 The seats feature a vertical slat design. 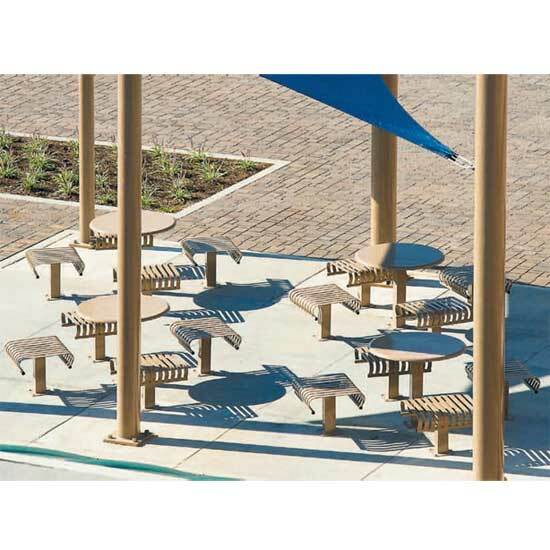 These are prefect for outdoor break areas, parks, cafes or anywhere an all-weather table and fixed seating is needed.